I think I have a problem. I can’t turn it off. Or maybe I just won’t. I’m on a train on the way home from New York – just pulling away from the Metropark Station. And I’m blogging. And listening to This American Life. And checking my email intermittently. But I’m really happy because I love these things and when I get home to the boys I’m going to want to be with them & not be distracted by technology. New York fascinates me. I love watching people and there were so many people to watch. I mean so, so many. Which leads me to one of the things I hate about New York. 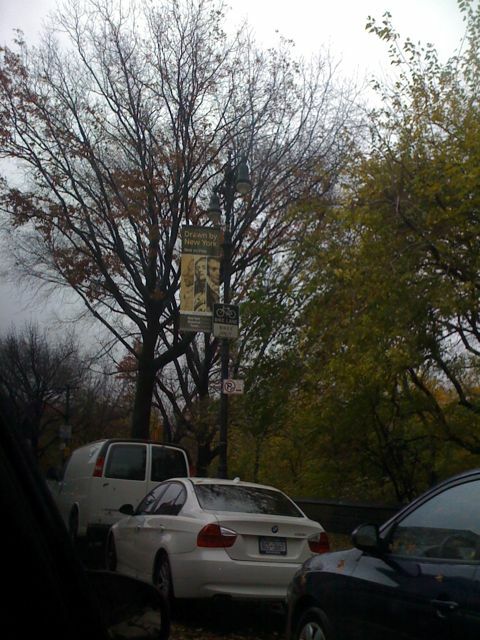 And traffic and being in a taxi driven by a normal enough looking guy who was clearly being channeled by Evel Knevel. I detest the smell of the subway entrance. And yet. It’s one of the most amazing places in the world. Times Square at night is an awesome sight. The food is beyond. 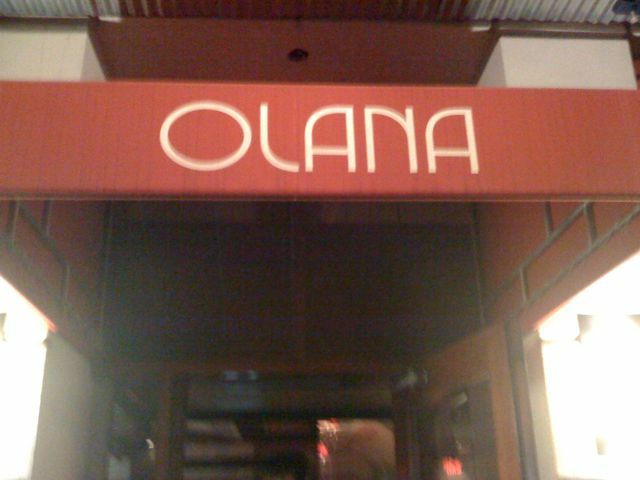 We had dinner last night at Olana & it ranks among the best I’ve ever had. Taboon on Friday night was delicious for apps. We had dinner later at Aroma. 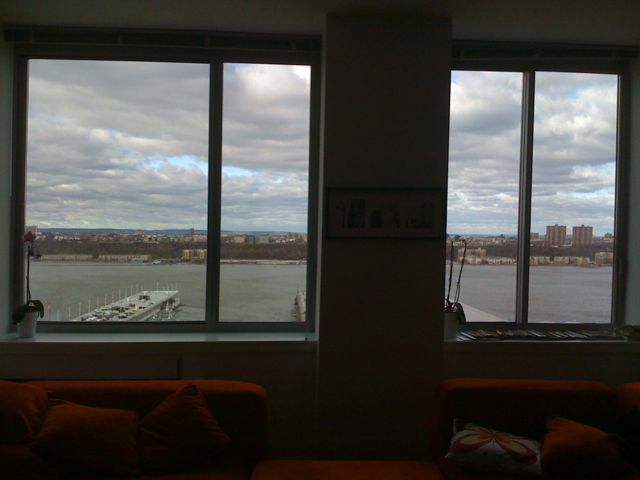 We stayed in an apartment in Hell’s Kitchen. Very different than in Sleepers. We walked and talked an laughed. And all in less than 48 hours. But can’t wait to get home to what I love the most – being with Andrew and the boys. 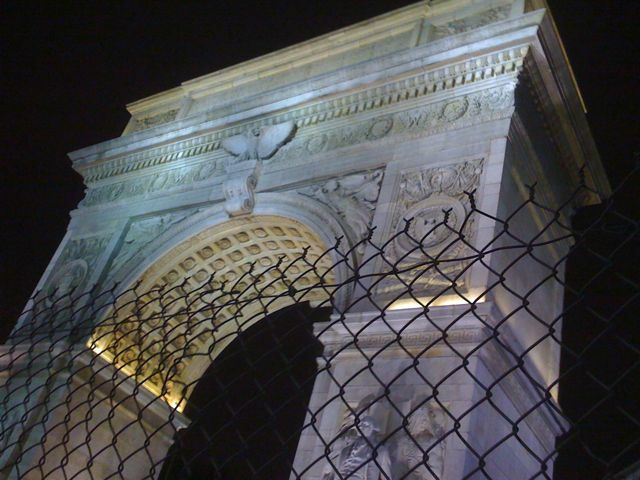 Washington Square Park is closed and under construction. But still, there are guys by the chess tables at night calling out in a loud whisper, “Moke, moke.” Good to know the construction hasn’t dampened business. Subway signs at 50th Street. Aroma Restaurant – East 4th near Bowery. 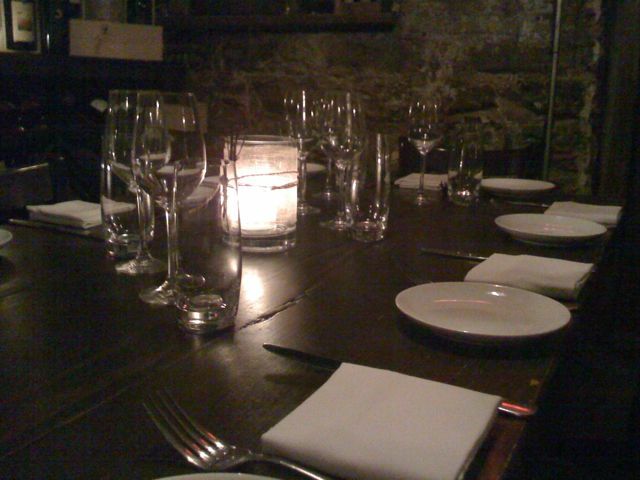 We ate in the wine cellar. It was very cool – literally and figuratively. Another view from our place. 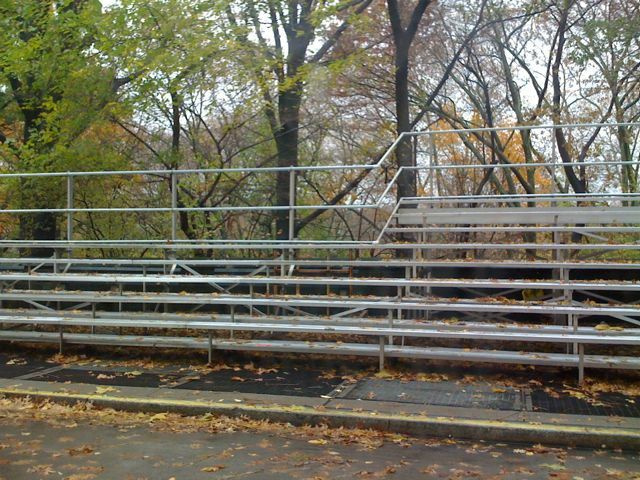 Bleachers set up for the upcoming T-Day parade. These are in the backseat of the taxis. 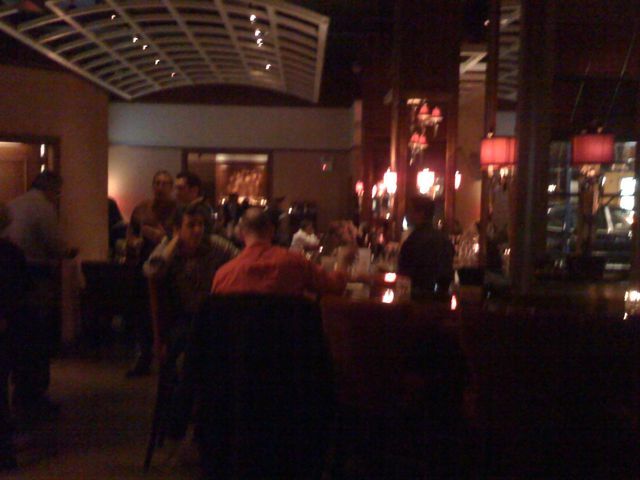 Very cool – Zagat’s, maps, more. 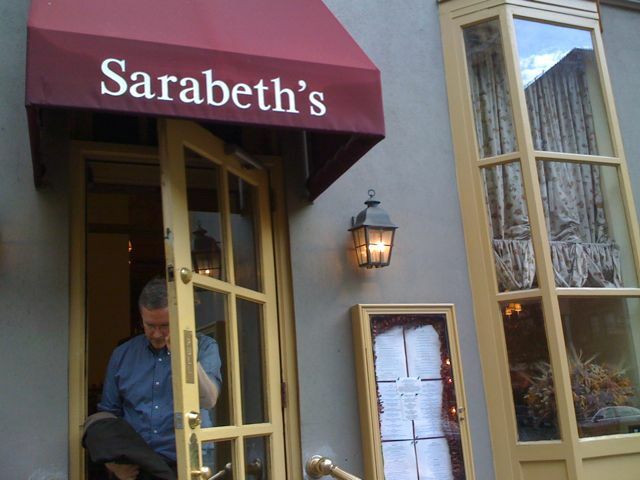 Breakfast at Sarabeth’s – delish! We didn’t get to the show (they don’t film on weekends anyway) but we did walk past the building in Hell’s Kitchen. Couldn’t pass up the photo op. 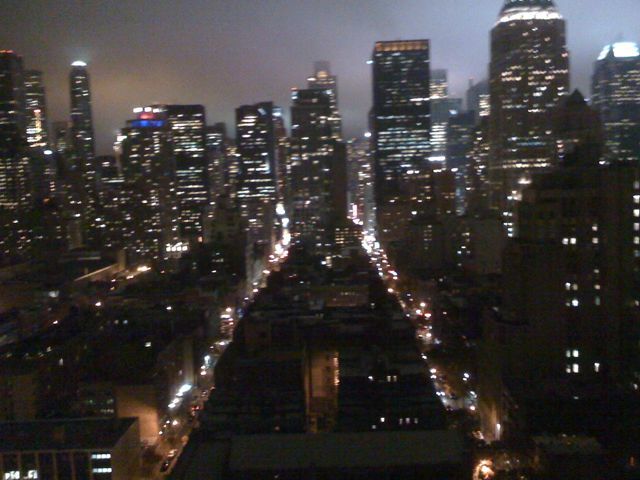 < New York, New York…big city of dreams. 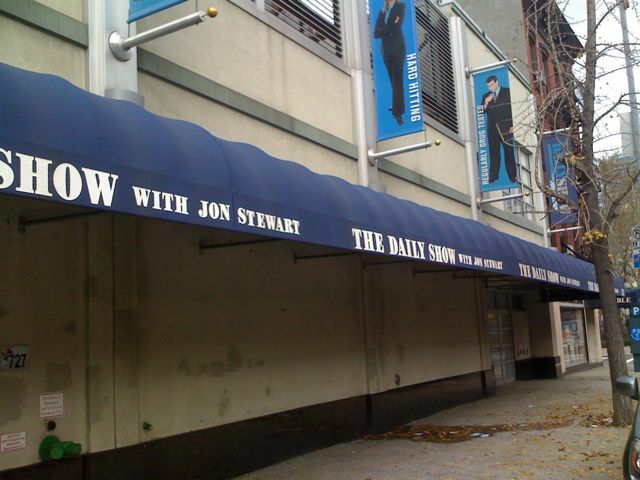 ooo did you get to see Jon Stewart? That’s awesome!! And we love Sarabeth’s. But at the moment, Balthazar is our fave. Ezer – no, I wish! They don’t have weekend shows, but we walked past the building & I had to take the shot! 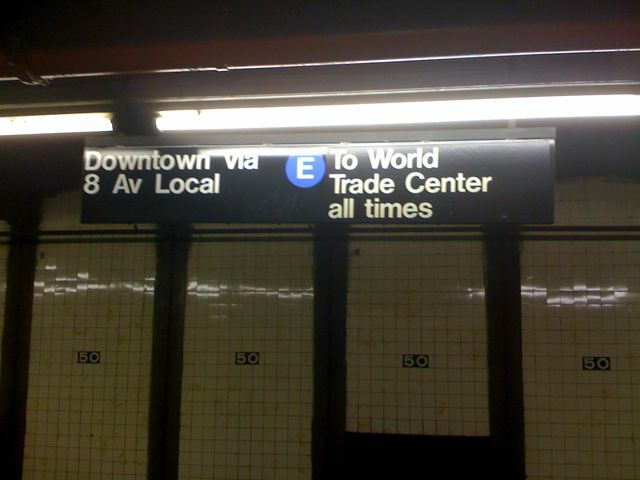 wow, i never realized the world trade center sign was still up in the subways. funny how you are on autopilot in your own town. kinda creepy. unplugged? what is that? i think i would freak. although i did rake some leaves today to get myself off the computer. I love SaraBeths’! I grew up going there for Sunday Brunch with my dad every summer I spent in the city! Best Sticky buns around! NYC is a fun place to visit, but I wouldn’t want to do crowds like that every day, either.